Different schools of architecture have written and philosophized on how we should intervene or add to already existing architecture as that of Can Llimona, yet consensus was never really found between their points of view. While some vouch for a pastiche-like integration of the new inside the old, others speak of an architecture in which several styles from different periods can coexist and intertwine, creating symbolism and different layers of meaning. In Alella, we followed the premise of the latter. 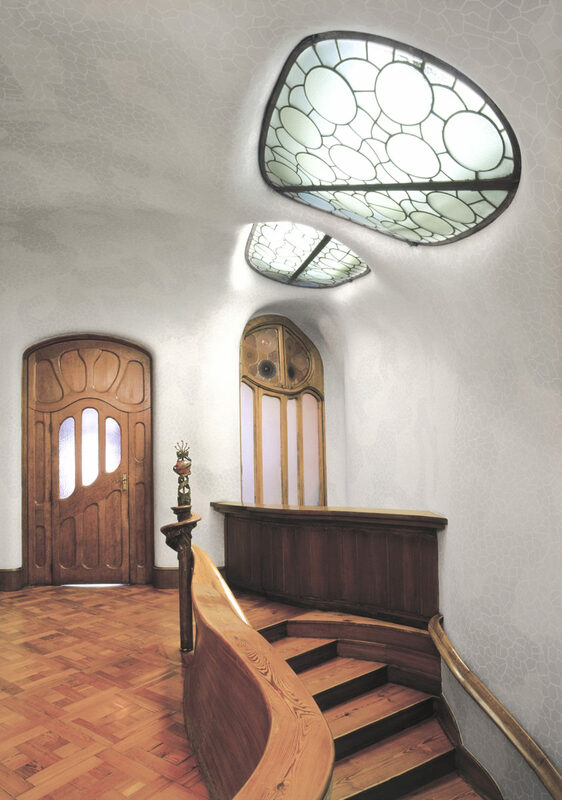 The archetype of Catalan modernism: the inside of Antoni Gaudí's Casa Battló. Can Llimona was built three centuries ago, by nobleman Joan Llimona. 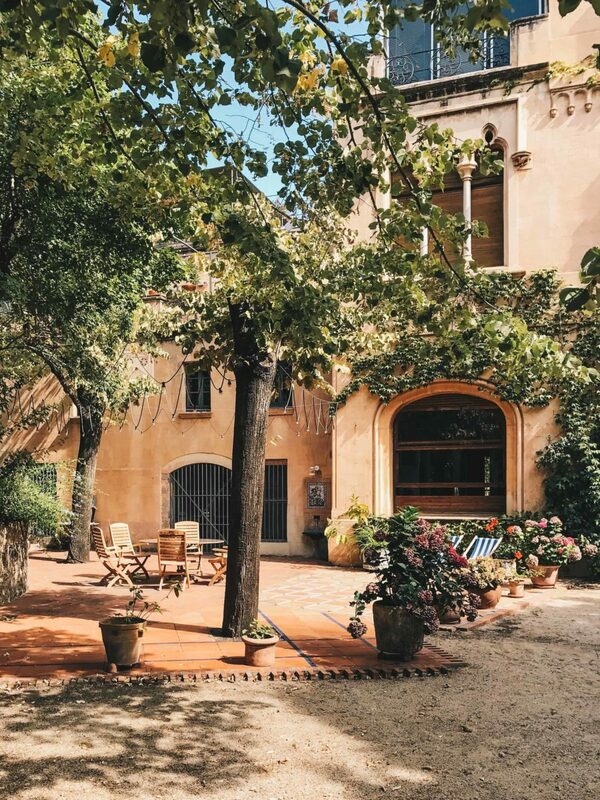 Having the traditional structure of the “masia”, the vernacular architecture of Catalonia, Llimona used local materials and construction techniques resulting from a transmission of knowledge through generations. Traditionally, this also means a structure divided into three floors: a ground floor destined for animals, an upper floor for housing and the attic to store and dry agricultural products. 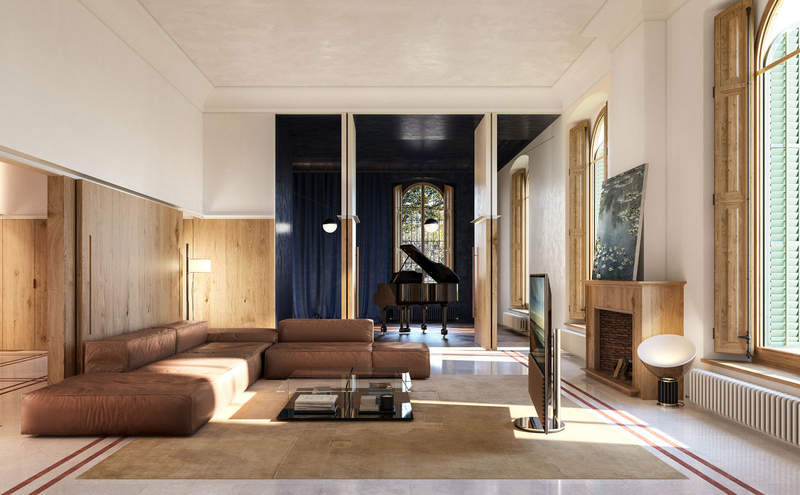 In terms of system, the “masia” is composed of a combination of modular spaces, usually about 4–5m wide, allowing the ceilings to be covered by wooden beams, a typical Catalan architecture trait. The stumps are similar to the size of a tree and allow the module to extend itself along the entire length (a feature that would ultimately become the poetic trademark to our intervention). 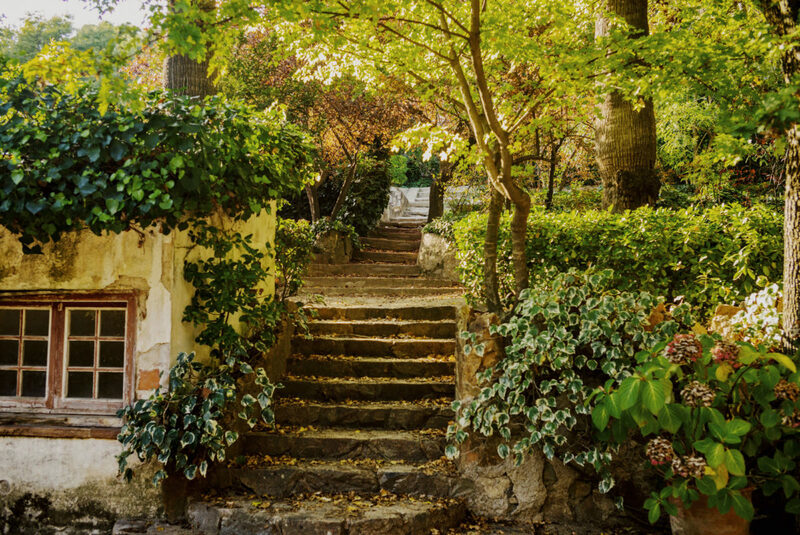 Can Llimona was divided into three living areas, housing one household on each floor of the building but leaving a common garden area to be shared by all. 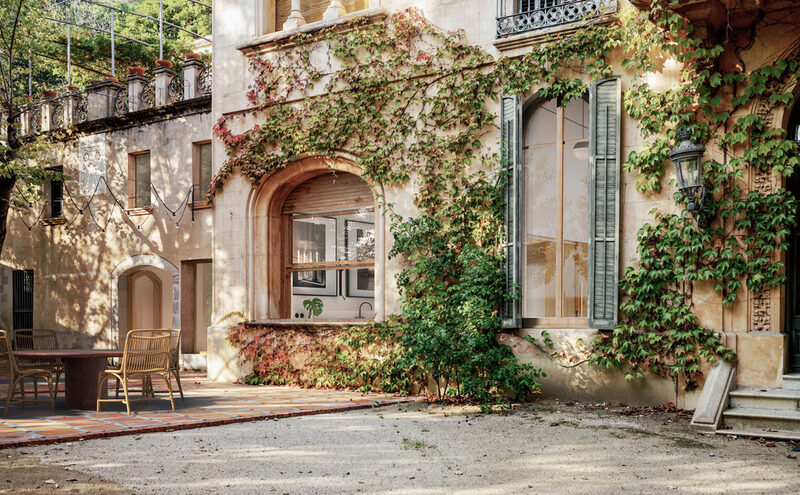 In 1909, a century after the construction of the “masia”, new owners moved into Can Llimona, at a time in which Spanish modernism was omnipresent and highly influential in all fields of art. 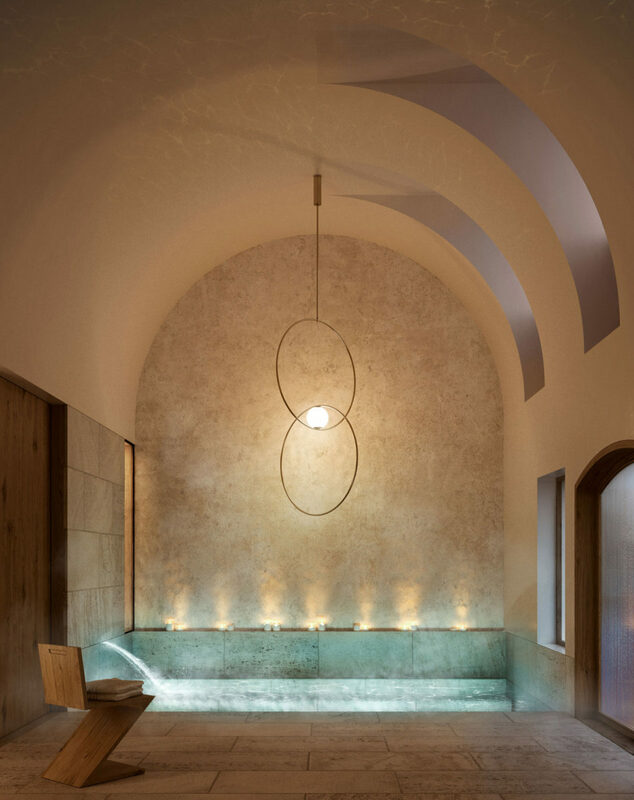 They opened up the rooms of Can Llimona, creating high ceilings and adding wooden elements following the typical nature-like forms of their time. Eighty years later, a third intervention was done on the premise, this time by the hands of two prominent Catalan architects: Lluís Clotet and José Antonio Martínez la Peña (famous for his Kumamoto Museum in Japan and Parc del Fòrum’s sculptural photovoltaic plate in Barcelona). 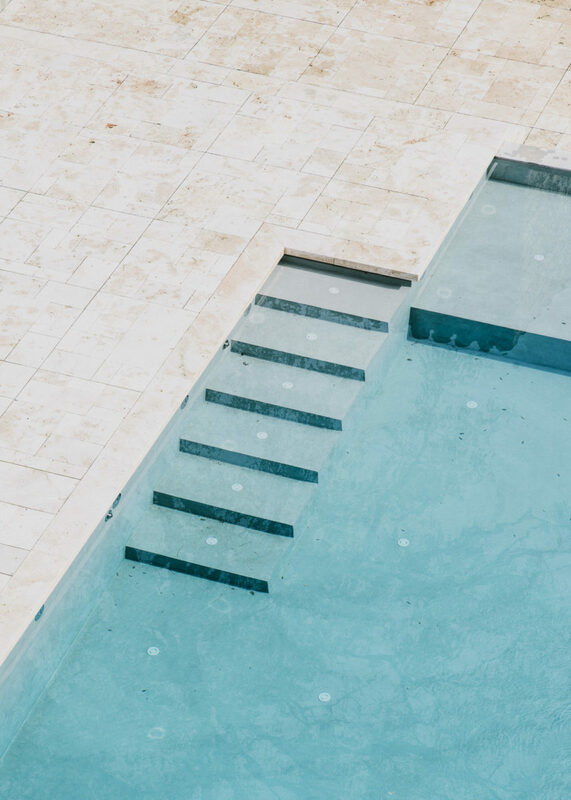 With respect and subtlety they added to the original and modernist architecture, generating more versatile and functional spaces for postmodern living. 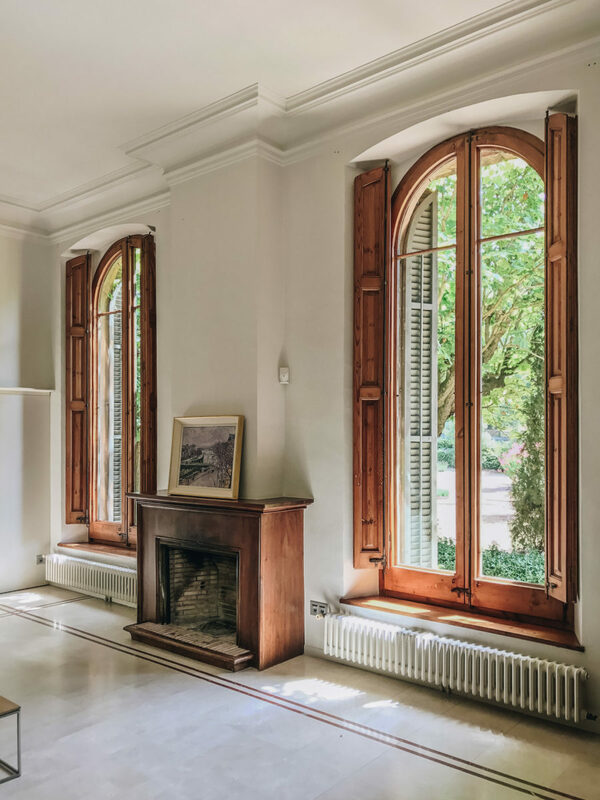 With the historical value of Can Llimona, its traits are to be cherished and reinterpreted into the contemporary world, turning the house into a continuation of concepts coming from an architectural heritage. When the new owners of the first floor commissioned us to again adapt the space to current living demands, we wanted to do an intervention that would, before anything else, bring uniformity to the house, while driving all functional installations in favor of absolute comfort. 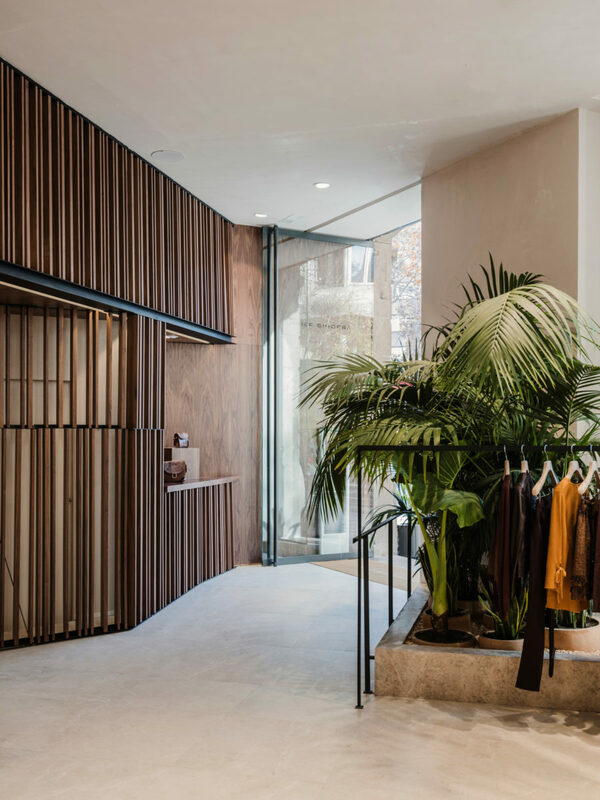 We took inspiration from the forms, colours and materials of Can llimona’s past, in order to design a large piece of wooden furniture that would run along the entire floor, dividing the high ceiling rooms into human scale and functional rooms. 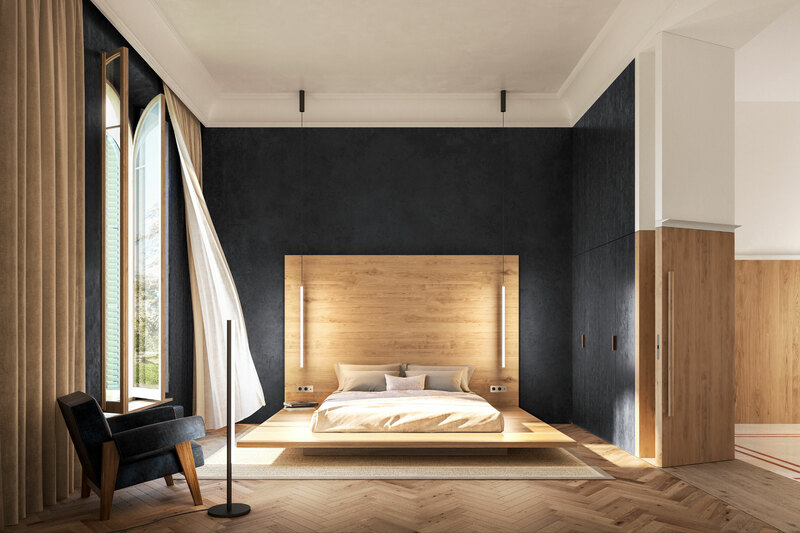 The piece came with huge doors that could be left opened or closed to offer privacy if need be, all the while creating an additional storey to the house. Can Llimona demonstrates how we can intervene inside an architecture’s past while avoiding complicated solutions. 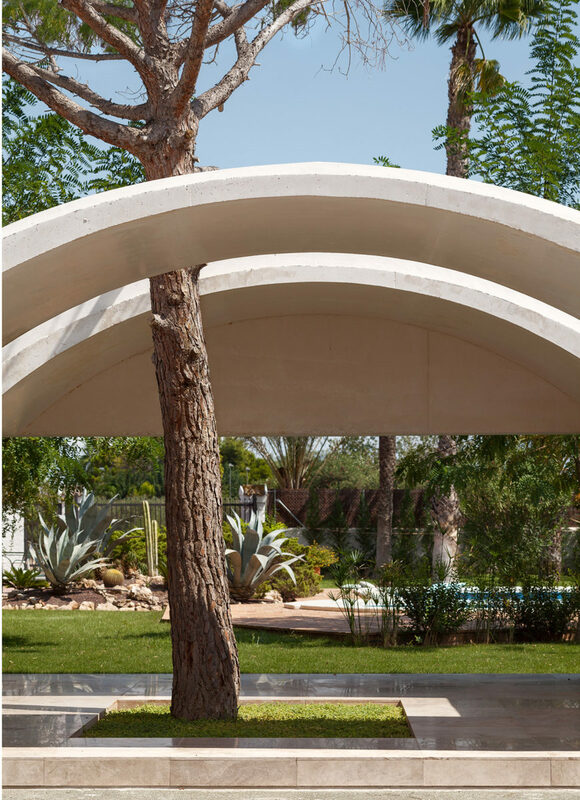 The result is a simple piece, a metaphor of the Catalan masia’s most emblematic features, and a wink to the Catalan modernist movement. 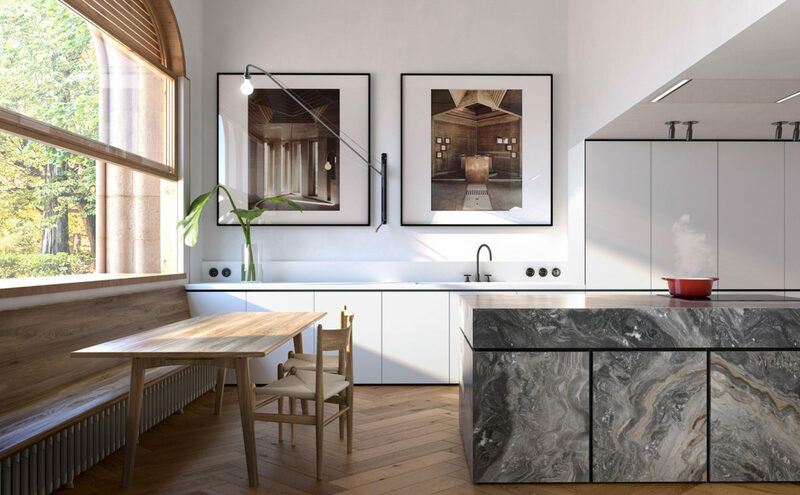 It also proves that original structures can meet contemporary needs without interrupting anything, a design statement that does not demand to be the protagonist within a story.